Alexandrium catenella (= A. fundyense) and Pseudo-nitzschia spp. present expanding public health threats through their associated poisoning syndromes, paralytic shellfish poisoning and amnesic shellfish poisoning. A major concern is the extent to which these harmful algal blooms (HABs) and their human health impacts will be altered by a changing climate. The Gulf of Maine is an ideal setting to explore this problem due to its long history of A. catenella investigations examining bloom physiology, toxicity, and bloom dynamics, leading to construction of a robust population dynamics model. Nevertheless realistic forecasts under changing climate conditions remain challenging for both A. catenella and Pseudo-nitzschia, an emerging and less studied threat. Current models for A. catenella rely on culture-based characterizations of behavior that are not valid in the natural environment, as demonstrated by novel in situ observations made during our prior WHCOHH program. Life cycle processes, growth, grazing and mortality rates, and swimming patterns have all been found to be significantly different in situ, making culture-based data inadequate for model assessments. A second challenge stems from the adaptive potential of these taxa, whose physiologies vary substantially across their ranges. This project’s scientific premise is that our ability to assess and predict short- and long-term responses of these HABs and their human health impacts to climate change requires characterization of critical rates and behavioral patterns in natural populations, generated, whenever possible, through in situ observations. 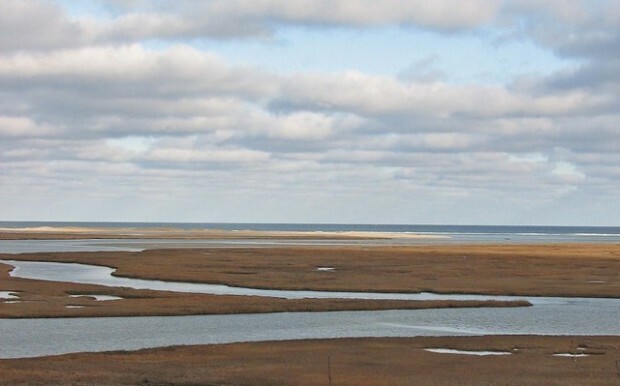 Based on the new finding of a chilling requirement regulating the dormancy period of A. catenella cysts in the Nauset Marsh estuary, Aim 1 will assess plasticity of this response across multiple habitats and populations and explore whether the temperature conditioning requirements of A. catenella are adaptive across its range. Aim 2 will use in situ technologies to determine relationships between temperature and A. catenella division, grazing, accumulation, and toxicity onset across a range of habitats. Previous WHCOHH work discovered unexpectedly high accumulation and division rates for A. catenella in Nauset Marsh. If growth is similarly elevated across other habitats, incorporation of these rates into growing degree-day and more complex, mechanistic models promise improved predictions of bloom timing and toxicity and climate change assessments. Aim 3 will establish how cell concentration thresholds, parasite infections, and migration shifts contribute to A. catenella bloom termination. Aim 4 will greatly expand the knowledge base for Pseudo-nitzschia bloom dynamics by combining previous and new in situ and lab-based observations. Pseudo-nitzschia species composition is a first order predictor of toxicity, so knowledge of species diversity and differences between species’ physiology and life cycle dynamics is needed for toxicity predictions. In summary, the project will provide the in situ assessments needed to develop and refine the bloom dynamics models that underlie climate projections and estimates of human exposure to HAB toxins (Projects 2 and 3).